In a world of imitators, worldwide singing star Adele recently proved there can be only one genuine article. In a hilarious stunt pulled by the BBC's Graham Norton, the singer put on a prosthetic nose, chin and concealing makeup and took on a group of impersonators. She introduced herself as "Jenny" and disguised her voice, walk, and identity, saying she is a nanny. As impersonator after impersonator takes the stage belting her hits, Adele spends her time backstage enjoying the ruse, commenting on the impersonators: "She's got (Adele's) hands." And then the real Adele pretends to be sick and disappears from the audition. The next time she's seen again, she's back on stage. The music cue begins, she misses it, saying she's a bit nervous. And then the fun begins. 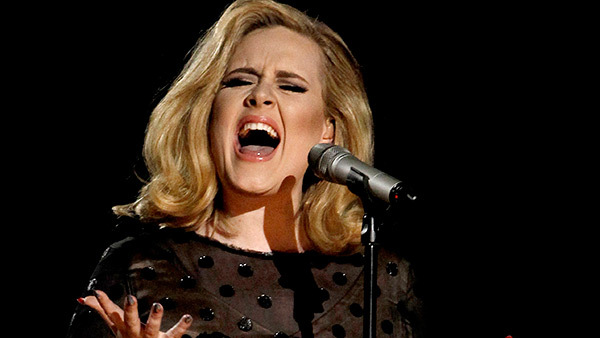 Adele - the real Adele - sings. The faces on the impersonators light up one-by-one in stunned, sometimes teary-eyed recognition, and they all start singing together.